The withdrawal of Great Britain from the Eu is the first case in the Eu history and gives cause for concern: the European Union without Great Britain’s economic and political support loses its importance on the global scene. Trump’s arrival on the political scene was like a thunder: in the Usa, the signs of isolationism are very strong. It is too early to understand which direction this policy will take. However, as to trade, the non-ratification of Tpp, the position against Nafta and Mexico and Ttip, while criticizing the Eu, restrains globalization and catches Great Britain unprepared. In fact, Great Britain was looking for other exchange channels outside the Eu. In the European Union, a return to protectionism – due to growing Euroscepticism – is not excluded. On the big international trade scene, agricultural products account for a small percentage, despite their strategic role. Cereals can be considered as the paradigm group for their situation and their perspectives. The industry situation is relatively stable, yet tense. 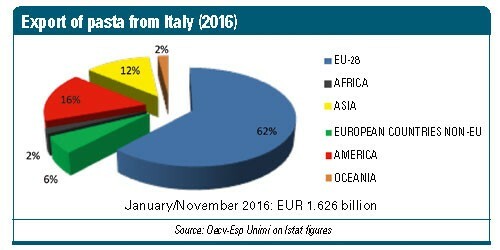 The global production of the three main cereals (wheat, corn and rice) is growing and could reach new records in 2016/17. The wheat long-term global trend confirms the production growth at a slightly higher rate than consumption, thus able to meet the growing demand. 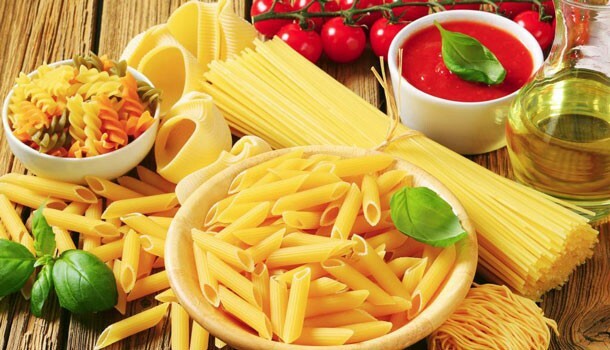 In Italy, the biggest pasta producer in the world, the industry positive balance is growing, thank to pasta exports; this proves the capacity of promoting finished products, even though they are partially made of imported raw materials. to remerging protectionism towards international markets, as it occurred in the past, in times of crisis. What is happening with international agreements confirms this. 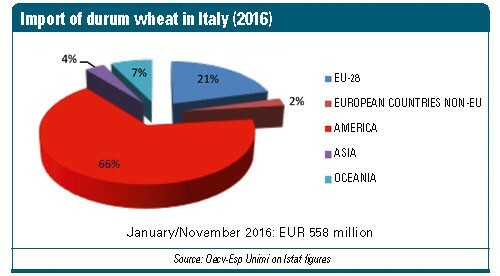 The position of the cereal sector does not count for a refusal, but it is justified by the fact that Italy has to import soft and durum wheat for reasons related to quality and quantity, since the country is objectively lacking an adequate domestic supply. A wise national position shall take into account the fact that opposition to free trade treaties does not benefit the national economy, not to mention the agri-food industry in which the active element is processed food and not agricultural raw materials. We should bear in mind that we cannot ask the rest of the world to open up to our products while closing the door to imports. It is a basic reciprocity criterion that cannot be neglected.